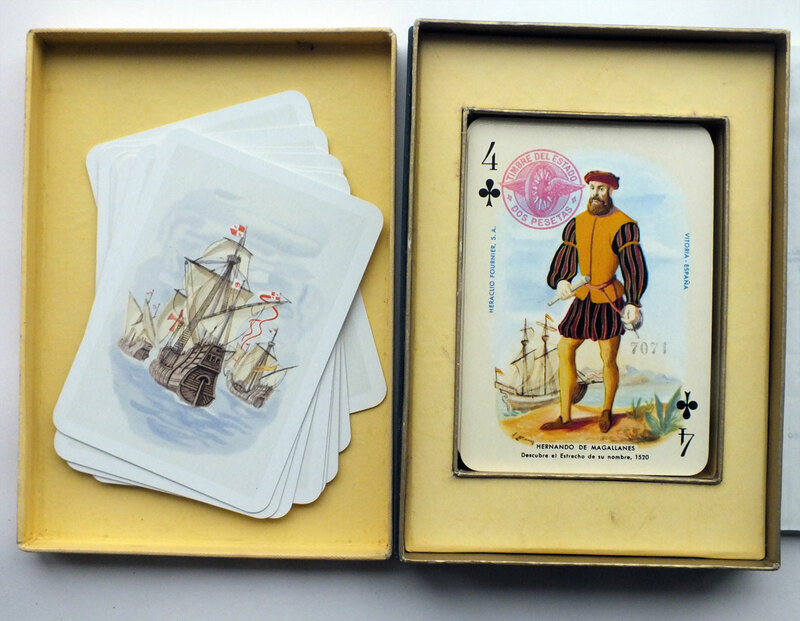 A beautifully illustrated pack of playing cards dedicated to the history of the discovery and colonisation of America, commemorating the 5th centenary of the Catholic Sovereigns’ birthdays; Don Fernando (1452), Doña Isabel (1451) and Cristóbal Colón (1451). The four suits each depict monarchs and explorers from contributing courties (Spain, England, Portugal and France). Illustrations by Ricardo Summers “Serny”. The cards are printed onto a cream background which extends to the edges. 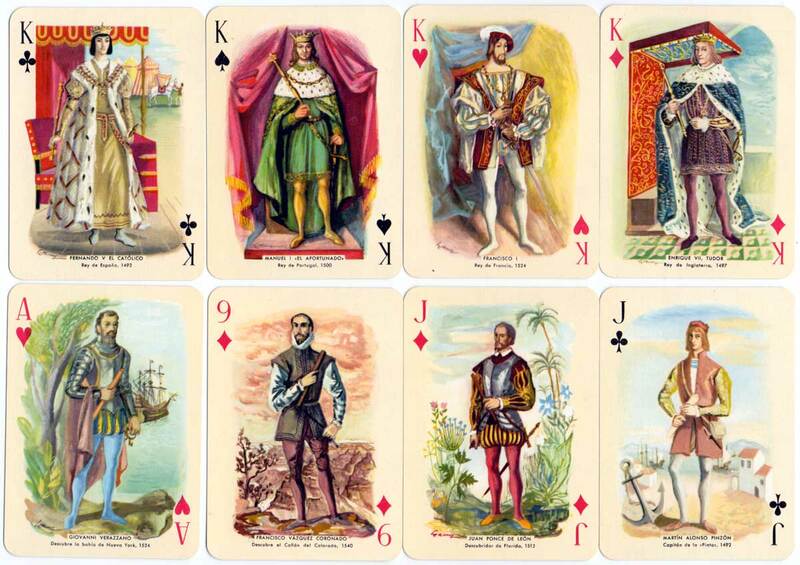 Later editions have a white border around each card. 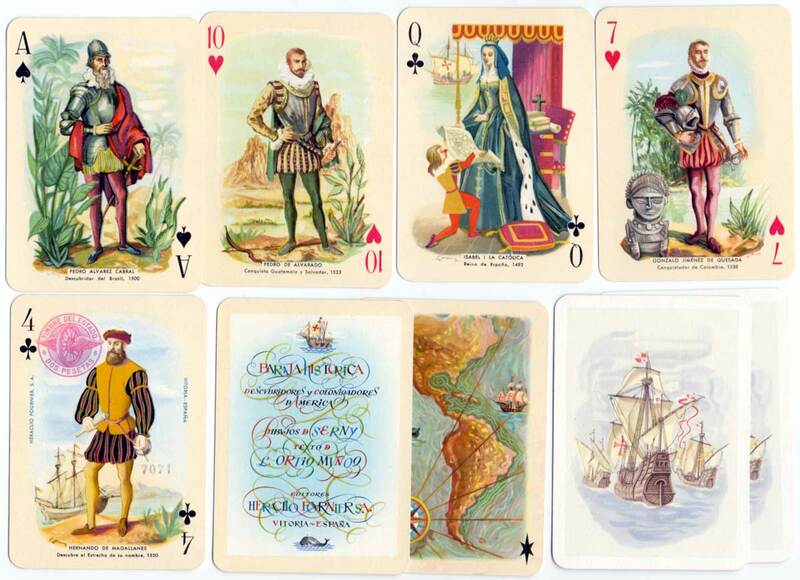 Above: Historical Playing Cards published by Heraclio Fournier, first edition 1952, designs by Ricardo Summers “Serny”. The four of clubs has a 2 Pesetas tax stamp. The 2 Jokers show a map of America. 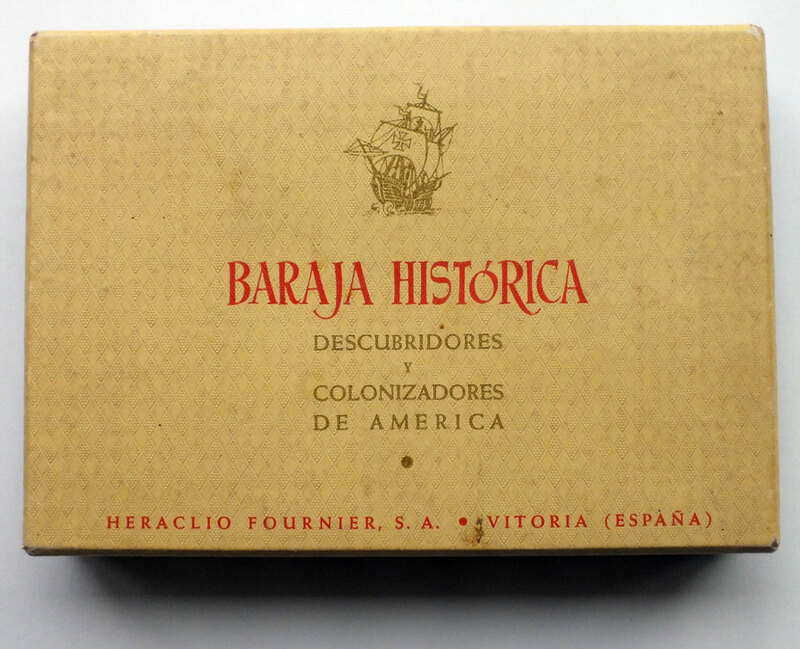 The reverse shows the three famous caravels “Santa María”, “Pinta” and “Niña”.